The new TaylorMade TP5 golf ball will change the way you think about golf balls from now on. This 5 layer construction is specifically engineered to perform with each and every club. The Tri-Fast core offers incredibly fast clubhead speeds for longer distance. Taylormade TP5 golf balls feature high launch, explosive distance, and the highest wedge spin rates. TaylorMade TP5 balls are the most complete tour level golf ball. 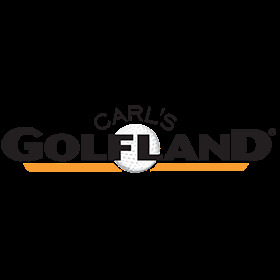 I'm a huge fan of Carl's golf land ! Top notch service with no hassle ! Love the tp5 golf balls to ! Carl’s never lets me down, another satisfied trip! Can’t wait to use my new Taylormade TP5 golf balls!! I purchased the Tp5 balls but never had a chance to use them yet. I have friends who rave about them so I thought I would give them a try. I ordered on line and the process was good and quick. I have ordered online from Carl’s in the past and it has always been a good experience. Given as a gift, my buddy's standard balls for a great price. A: These are NOT the 2019 model but the prior generation.